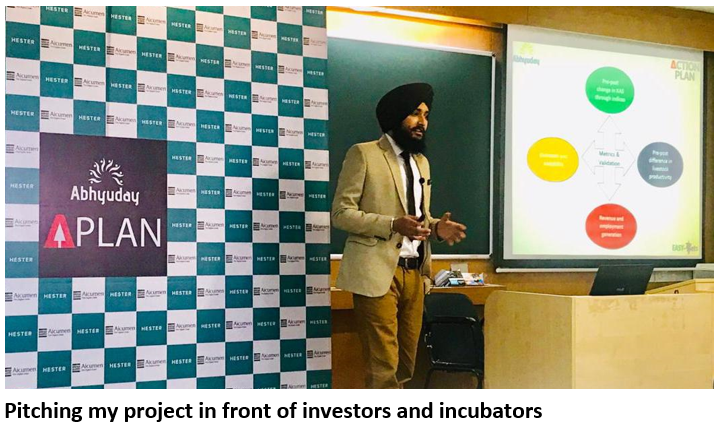 Social Entrepreneurship Competition – Action Plan 2018 was organized by IIT Bombay as a part of its Annual event ABHYUDAY. It’s a nationwide competition to find India’s most promising social entrepreneurs. Aimed at raising awareness about social entrepreneurship, Action Plan motivates the youth to solve India’s most pressing social issues. 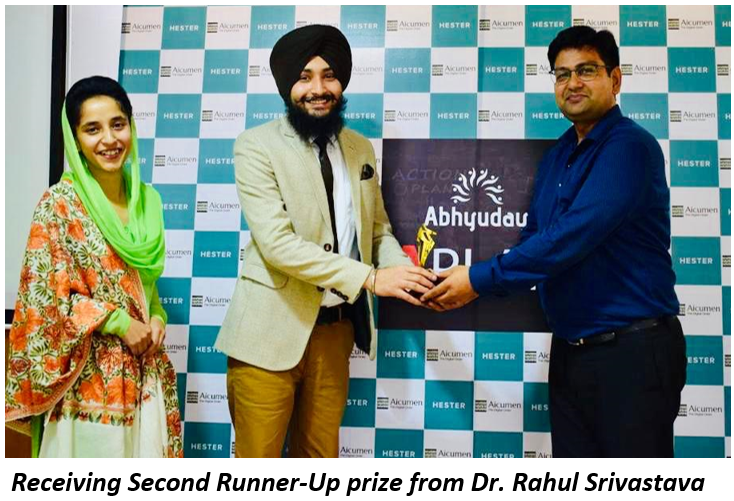 Dr Amandeep Singh participated in the event and was one of the winners. He reflects on the event here. It all started in the month of September 2018 when I received information from Indian Institute of Technology (IIT) – Bombay regarding their annual social festival, Abhyuday. IIT was holding Action Plan Social Entrepreneurship competition during the festival. The competition was open for any individual over 18 years of age. The projects were called from eight different sectors viz. agriculture and livestock, healthcare, education and employability, water management, waste management, women empowerment, financial inclusion and fintech and sustainable energy. The competition was basically a team event and team needs to be formed before submitting the project. With the help of my friends, I, as a team leader, formed a team and named it as EASY-Vets (Extension and Advisory Services by Young Veterinarians). The competition was divided into three rounds. The first round called as ‘Playbook’ and was related to problem statement in which the problem was to be defined in terms of need, metrics and objectives. Coming from an extension background and with understanding of the livestock farmers in my area i.e. Jammu district of Jammu and Kashmir State, I based my project on enhancing the knowledge and awareness of livestock farmers through digital means. 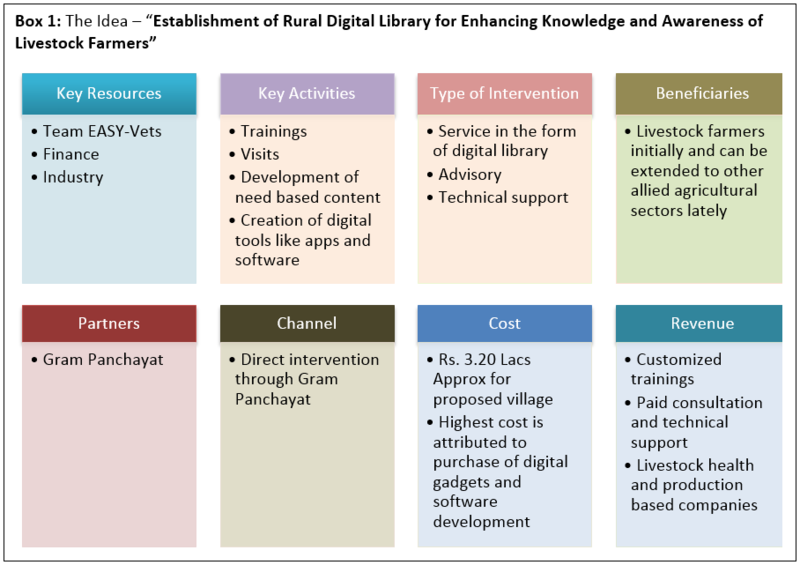 The project title was “Establishment of Rural Digital Library for Enhancing Knowledge and Awareness of Livestock Farmers”. The result of the first round was declared in the month of October 2018 and I moved into the next round. The next round was called ‘The Solution Design’. This round was related to the probable solution of the stated problem. Therefore, it contained very minute details of the project from costs to impact. In the month of December 2018 I was informed that I moved into the final round i.e. project presentation or pitching round. Top 30 teams from length and breadth of the country were called for the last round at IIT-Bombay. The teams were asked to present in front of the investors and incubators. The final round was scheduled on 13 January 2019. 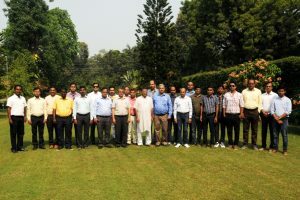 Before the round began, IIT-Bombay organized one-day workshop on 12 January 2019 for the teams. Lectures were delivered by top business incubators of the country that enlightened and ignited in us the sense of social entrepreneurship. The workshop began with the first lecture from Mr. GaurangShetty, MIT Graduate, Chief Innovation Catalyst, Research Innovation Incubation Design Laboratoty (RIIDL), Mumbai. The lecture was on the ‘art of pitching’ as he discussed how to effectively pitch one’s idea to the investors and make them invest in your business. 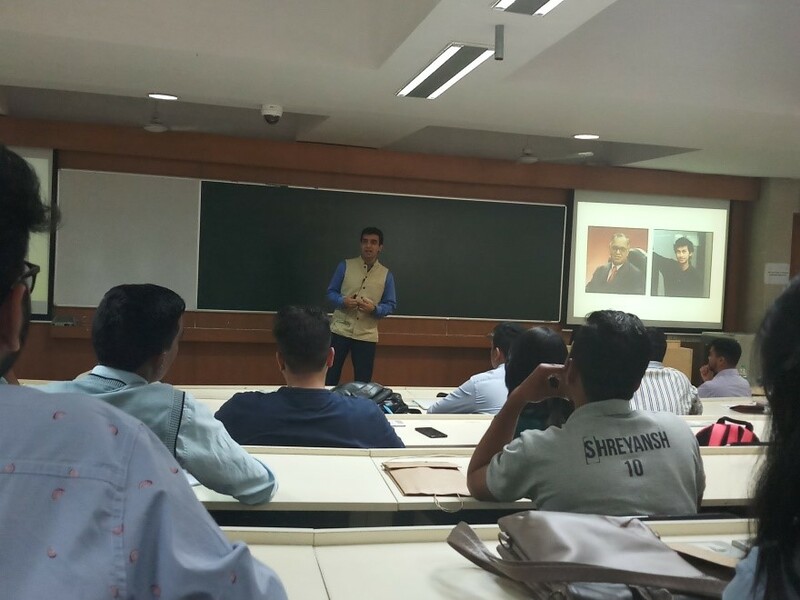 The basics of pitching were also deliberated upon and tips to effective pitching were delivered by Mr. Shetty. Next talk by Ms. RashmiBansal, bestseller Indian author, was inspiring. She talked about successful entrepreneurs that she covered in her book ‘Connecting The Dots’. Highlighting the need of social entrepreneurship in the changing world scenario, she pointed out how it changes lives in India. Ms. Bansal motivated the youth to opt for entrepreneurship and encouraged them to think of providing jobs to others. She also focused on intrapreneurship and highlighted its importance. Mr. Vikrant Potnis from Sardar Patel-Technology Business Incubator (SP-TBI) delivered a lecture on ‘Venture Capital’. His talk was focused and touched upon the fundamentals of business. 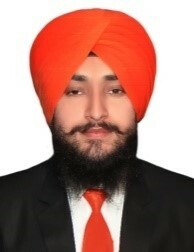 From selection of the team to strong monetization model, he covered all aspects. Market opportunities and industry expectations were highlighted upon. He provided us with tips to attract angel investors and build a scalable business model. Ms. Deepa Soman, Managing Director, Lumiere Business Solutions, Mumbai, delivered a lecture on ‘Networking’. She deliberated on the importance of networking in a business and talked about how to create linkages with the use of various models. The beneficial use of networking in business communication and building a mutually beneficial relationship with clients or customers was thrusted upon. Communicating the business with clients and developing a mutual understanding was the core of the talk. Next was the lecture from Mr. Girish Agarwal, Director – Incubation at UnLtd India. 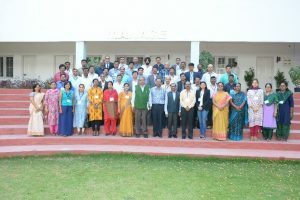 The lecture was based on the ‘Change Theory’. Practical exercises and case studies were relevant for the beginners. With time, businesses changes; either they scale up or scale down. Change is inevitable part of any business and in the present scenario, the dynamics is complex. To counter the losses due to change and to utilize the changing scenario for reaping maximum benefits, change theory comes into play and was very well discussed by Mr. Agarwal along with the present day business case studies like Ola Cabs, Oyo Rooms and Zomato. The last event of the workshop was the Mentor-Mentee Meet-up. As the project was related to livestock sector, Dr. Rahul Srivastava, Assistant Vice President, Hester Biosciences was our mentor. In an hour-long discussion, we delved on various aspects of the project. Revenue generation was the core focus area. The discussion also covered aspects related to workforce, outreach, scalability and impact in livestock sector. Dr. Srivastava, with his experience and business and management skills, refined the project. This mentor-mentee meet-up helped a lot to make the project realistic and business oriented. The day ended with the basics of business infused in us. Entire workshop was enlightening and perfectly organized to carve the best of businesses from naïve ideas. Next day of the workshop was meant for pitching the idea (project) to investors and incubators. I made a very crisp presentation of only eight slides and presented my idea in the afternoon (Box 1). After the completion of presentation, questions were raised on generating the revenue from the project. Thanks to Dr. Rahul Srivastava for clarifying the same question during the mentor-mentee meet-up. Few questions related to livestock sector were raised to which I answered effectively. Impressed with the presentation, couple of investors stated that they are interested to fund my project but as they don’t have any prior knowledge of the sector, they need time to research upon and will get back to me in 2-3 months. The incubators also promised the help which I will be requiring at the time of implementation. Later, all the 30 teams were called and the results were announced. 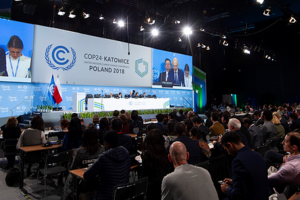 From the 30 teams representing eight sectors, only three winners were to be chosen. The faculty of IIT-Bombay along with incubators were the members of the judging panel. The team from University of Delhi was declared as winner and was awarded a cash prize of Rs. 75,000 and a trophy. They made an intelligent robot for segregation of organic and inorganic waste. The team from IIT-Bombay was declared as Runner-Up and was awarded with a cash prize of Rs. 60,000 and a trophy. Their idea was based on artificial intelligence. My team stood Second Runner-Up and we were awarded with a cash prize of Rs. 40,000 along with a trophy. The teams were felicitated by Dr. Rahul Srivastava. Action Plan Social Entrepreneurship Competition sparked in us the potential to embark on the path of social entrepreneurship. Livestock sector has witnessed a remarkable growth and people from other backgrounds are tapping the opportunities in our sector. The event has kindled awareness and knowledge about business opportunities in livestock sector. Such action plan competitions act as spark plugs for ‘planning to act’.